So i thought i'd be back sooner with a post, but life has a way of getting busy and time got away from me! For those that follow me on Instagram (snippets101), you'll already know what i've been up to! And how could i not make this block right away? And maybe i made this one too. And i have to say, i love this pattern so much!!! I've enjoyed making all these blocks, even with my wonky, misaligned points. I generally pull fabrics for one or two blocks at night while relaxing watching tv after the boys are in bed. (Yay!! Walking Dead is back!!!) 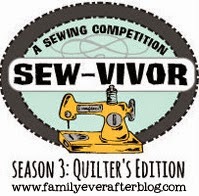 Then sew them up the next day when i get a chance. 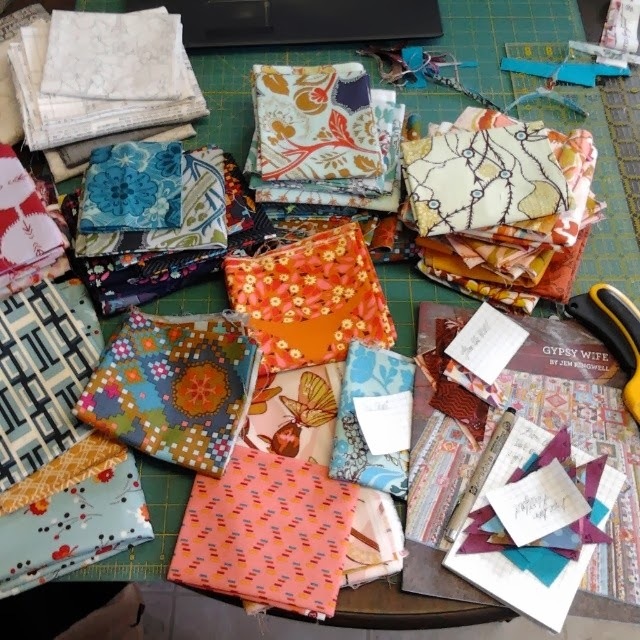 Most of the time i know right from the jump what fabrics i want to use. And i've definitely enjoyed fussy cutting to get the look i want! Sometimes though, with the blocks requiring more pieces it's been fun just choosing the fabrics as i go! And i have some of these because the instructions weren't clear enough... or i may not have been paying close enough attention, ahem. But the top unpressed hst's are leftover bits that i'm somehow going to work in. And now onto Sammy's quilt. His birthday was last week and i'll be totally honest here and let you all know that i didn't get it finished. Anyone surprised? No? Didn't think so. It would seem that i have a history of getting quilts so far and getting stuck. Anyone else have this problem? This is where i stand for now. The middle section is at a width i'm happy with, and when the three horizontal section are sewn together the height will be perfect. And i'm not happy. I'm having problems finding a good balance of block size as well as colour and value placement. I'm finding certain areas to be too light and i'm not happy with the x block right below the giant arrow on the right. And the more i look at it i don't really like the polka dots on the sides of the arrow either. I think the background of it needs to be green. Do you think with a green background on the arrow the x block below would then work? Am i over thinking this? I mean, it's for a four year old, and so far everything i've stuck on the design wall he loves. But i'll be living with this quilt too and shouldn't i make it to make me happy as well? Now the bottom section... what i'm wondering is if i should shift the bottom section so the rights sides align and then fill the section on the left with something else to make up the width. Thoughts? And then there's the top section, i think i have a plan for that now. Though it does involve taking apart the two sets of four blocks, but i'm pretty sure it will work. Needless to say, Sammy's quilt is going to be awhile yet. But along with the boatloads of Lego's he did get for his birthday, i did manage to make him one handmade gift. In lieu of his quilt, for now. That's right! Yet another Open Wide Zip pouch! Using Heather Ross's Frog Pond print from Briar Rose, love this print! This is the first time i've made one using batting and quilting it. And i love it! Perfect to use up your batting scraps as well as giving enough structure that you don't need to use interfacing. And matching zipper tab. I used only things i had on hand and the zipper is a long one. I considered cutting it down, but then though it would work out nicely as a handle. This little zip pouch is the new home for Sammy's Olliblock matching game that i made him! Cute eh?! He loved it, though not as much as the lego's... or his party. Of which i'm quite pleased with! I would now like to take this moment to apologize to my Pinterest followers, the last little while has been primarily party pins... in mass quantities. Two days before Sammy's party he changed his mind and cried for a Super Mario party. Now with two days to go i wouldn't normally change the entire party, but seeing as i hadn't actually started anything i thought, why not. Crushed Oreo's make for a great race track! 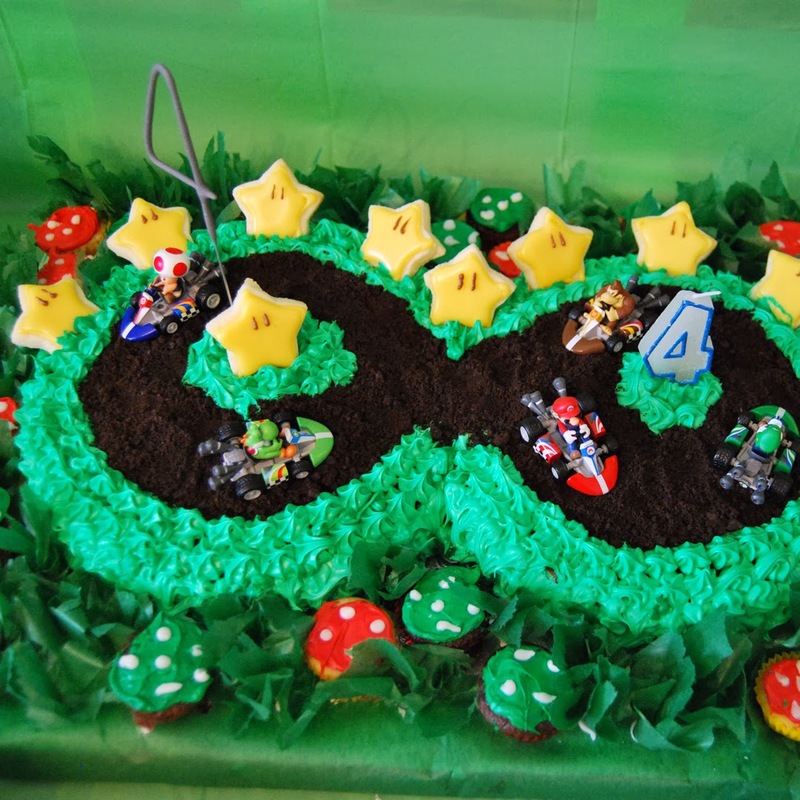 I had picked up the little Mario Cart guys a couple weeks ago for him and thought they'd be perfect on the cake. I love my star cookies and the marshmallow mushroom pops that my little sis made! Round out the spread with chips, candy and pretzels and you have a bunch of hyperactive kids that wouldn't go to sleep that night! So, what you ask have i on the go for today on this lovely WIP Wednesday? I'm not really sure. I finally printed off the Dala horse pattern for my Penny Sampler! As well as the Maple Fox from Shape Moth's Forest QAL. I'm thinking about replacing one of the Dala horses in my Penny Sampler for the fox... i love foxes! We'll see. Or maybe i'll pull out Max's Penny Patch and get a move on it! That would be the good mom thing to to. Especially considering that i thought i was further along than i actually am. 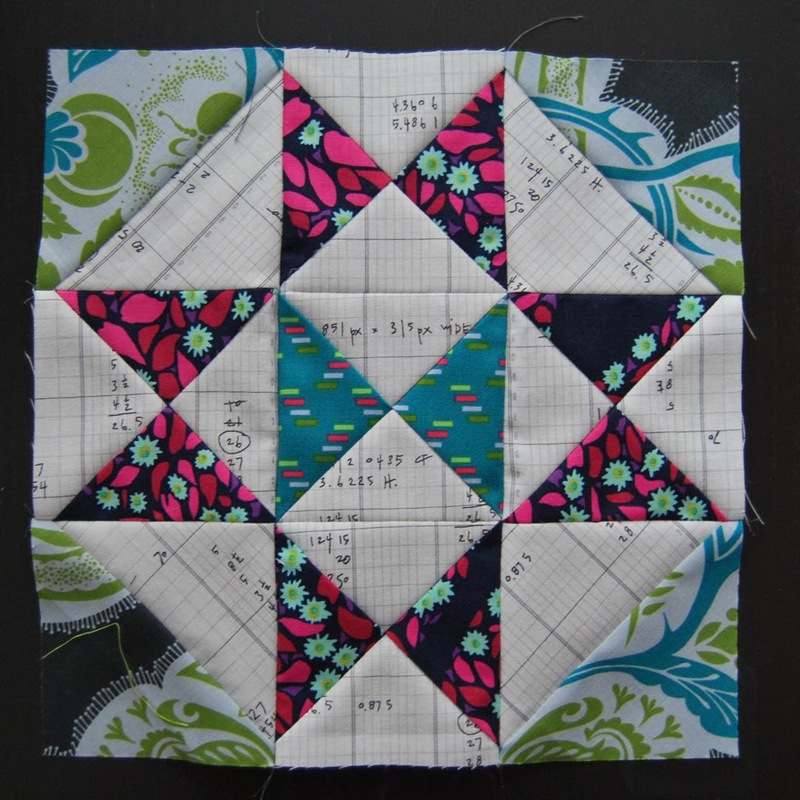 I could have sworn that i had all those little four patch blocks stitched together and i just needed to sew the six inch blocks all together, drat! More on this one at a later date! High fives for the chaos!! 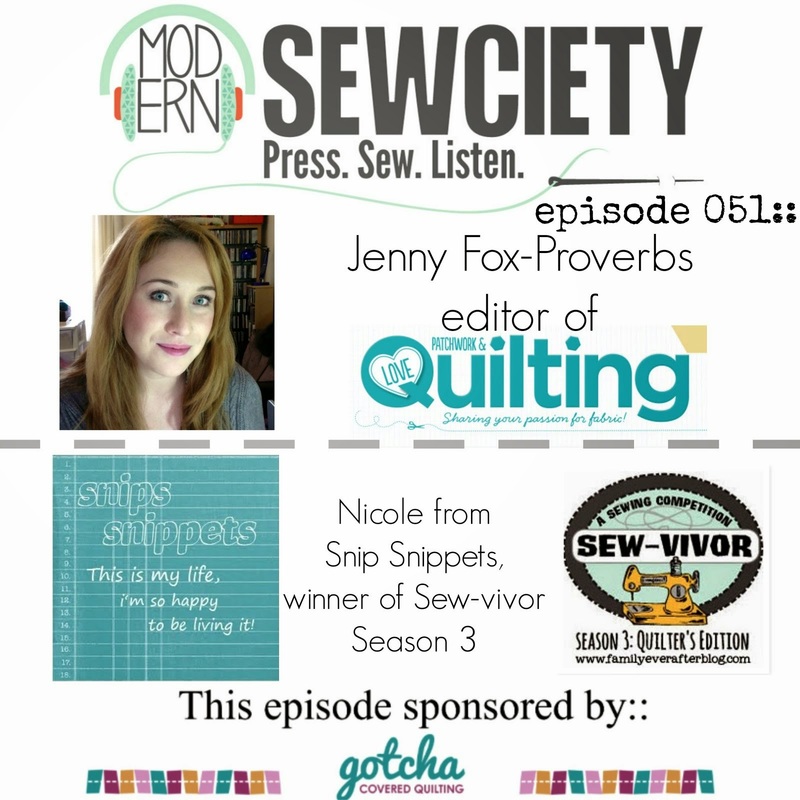 Linking up with the ever fabulous Lee over at Freshly Pieced for WIP Wednesday!